If you are still thinking on what gift buy to you for Christmas, here there is the spoiled for choice. 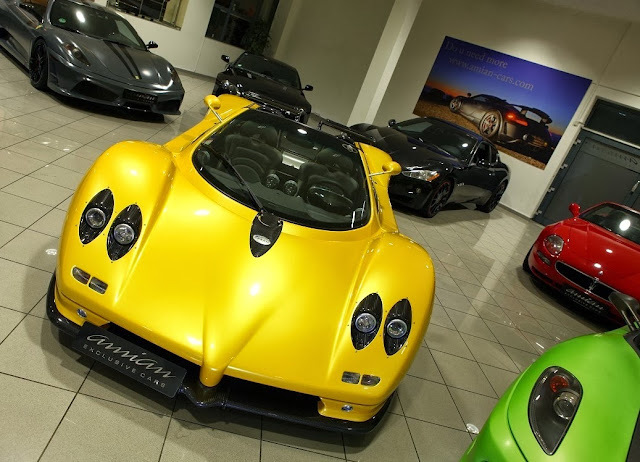 Yesterday a fourth Zonda has been listed for sale at the dealer Amian Exclousive Cars in Germany, it actually has four Zonda for sale. 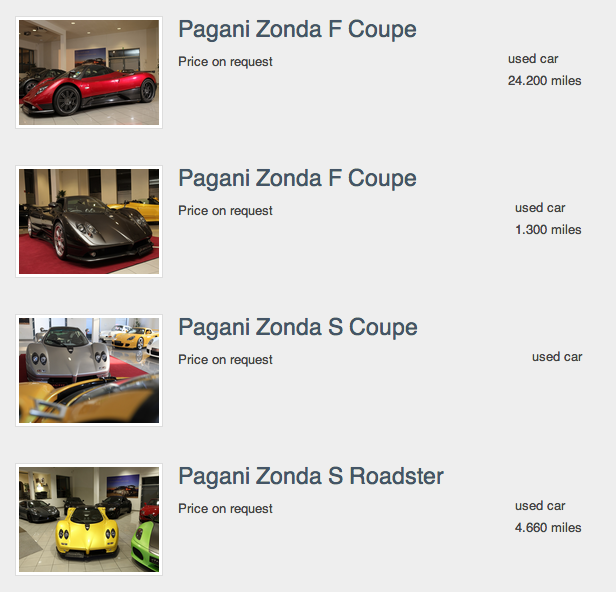 The Zonda for sale are: two Zonda F Coupé, one Zonda S Roadster (already seen here) and one Zonda S 7.0 Coupé. This car was built in 2007 and it has the progressive number 18 of 25 and chassis N°79. The car was delivered to England as a left hand drive car painted in Dubai Red with anthracite leather interior and red stitching. It has anodized wheels with black brake calipers and the classic interior style with the wood-steering wheel, gearshift and handbrake. 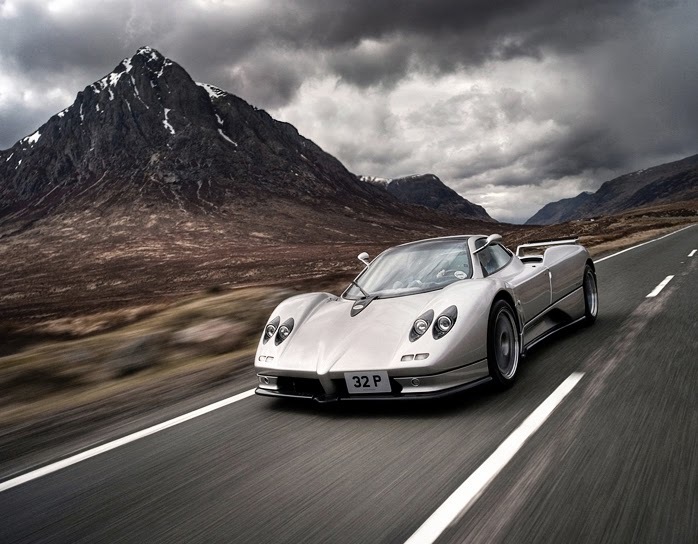 The car has been seen some times at the Pagani factory and it took part at the Vanishing Point 2007, 2008 and 2009 and 2010. The car is for sale with 29.000km recorded at the price of 1.160.000 Euro. 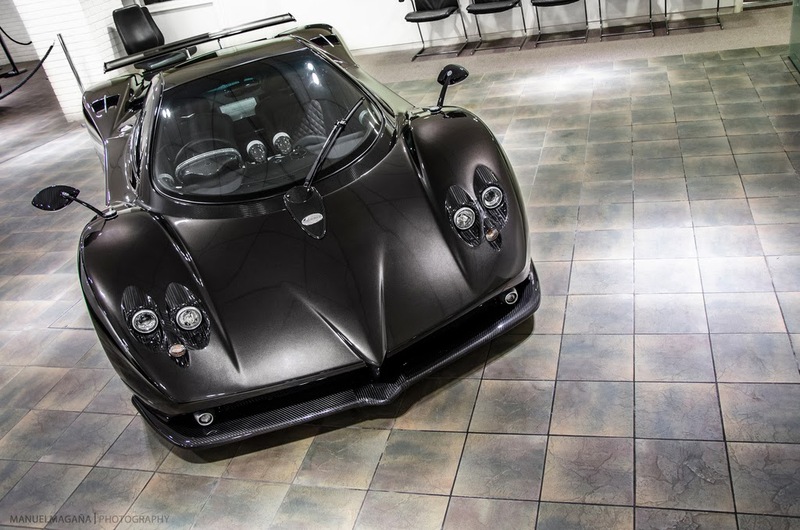 This Zonda F was built in 2007, it has progressive number 21 of 25 and chassis N°86. It is characterized by a black and fully visible carbon fiber body with black leather interior and red stitching, standard polished wheels and red brake calipers. 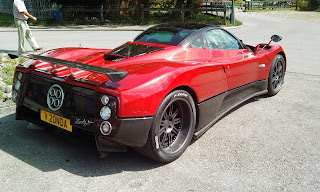 This car was seen very few times before the re-sale in 2011, it was seen for a short period inside Pagani Showrrom, then at the Luxury Show in Verona Italy and finally in Andorra with Andorra registration plate. The car disappeared until March 2011 when it was put for sale at £900.000 with only 1000 miles by Romans and registered in UK. Having being unsold at Romans for nearly two years it was taken back by its owner and put for sale at HR Owen showroom. In december 2013 it has been brought to Amian Cars in Germany and again for sale with 1300 miles at 1.150.000 euro. If you have a closer look to the website, the managing director is John Morrison, so it should be related to the UK Dealer in some way. 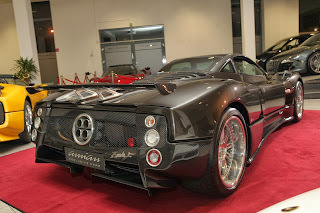 This Zonda S 7.0 has been built in 2000 with Montecarlo Grey body paint and black and grey leather and nubuck interior. It was spotted several times in the UK, it is a left hand drive car that was ordered by Autodrome Cannes as a normal Zonda S, but later sold to a new owner in UK and afterwards to Rio-Prestige and again for sale in 2009 with 14,500 miles recorded on the odometer. 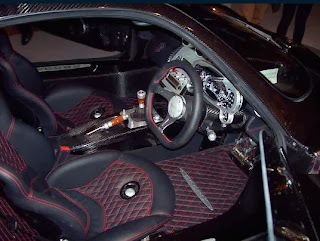 It was seen also at the Gumball 3000, at the MPH in 2009 and in 2010 it got new leather parts in the interior. In 2013 it also got the brakes kit from the latter models and it is actually for sale 600.000 Euro for a long time. 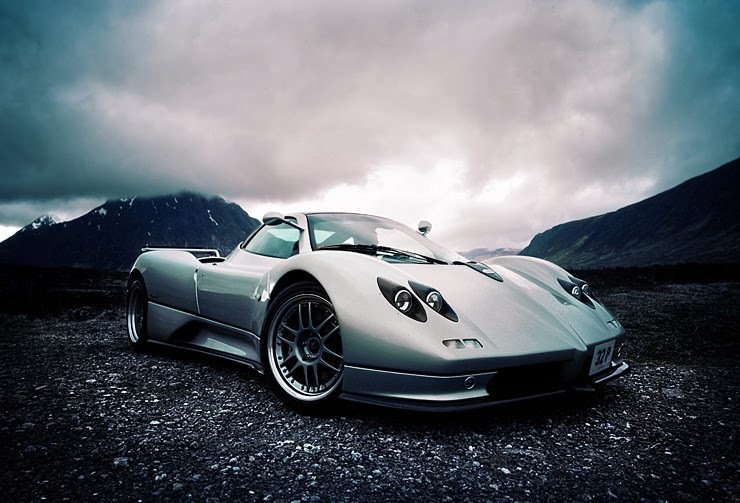 This Pagani Zonda Roadster S has been built in 2003 and delivered during the 2004 Geneva Motor Show. It is chassis N°38 and features Geneva Yellow II body paint, black leather interior with yellow seams and in 2012 it got black wheels. During the years wasn't seen many times in fact it has been driven very few times, in 2013 presented only 7500km on the odometer. The car has been sold in 2013 in Germany, the new owner brought it in UK and seems to enjoy the car driving it quite often, last summer he took part at Wilton Classic and Supercars. 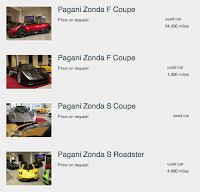 Even if the listed cars are for sale at this dealer I would like to mark some imprecisions reported on the dealer website: the red Zonda F is listed as RHD while it is LHD and the silver Zonda S 7.0 is not there anymore as it has been sold to a customer in Thailand in July 2013. This post is very motivated for Four Zonda For Sale at Amian Exclousive Cars, I recently went through the car buying process to buy a beautiful car which will be easy life for me to get this car. I am glad to get this information that I got for the first time for me this biggest content. Thanks mate. Thank you for your compliments, it's always nice and motivating hear this kind of thanks!